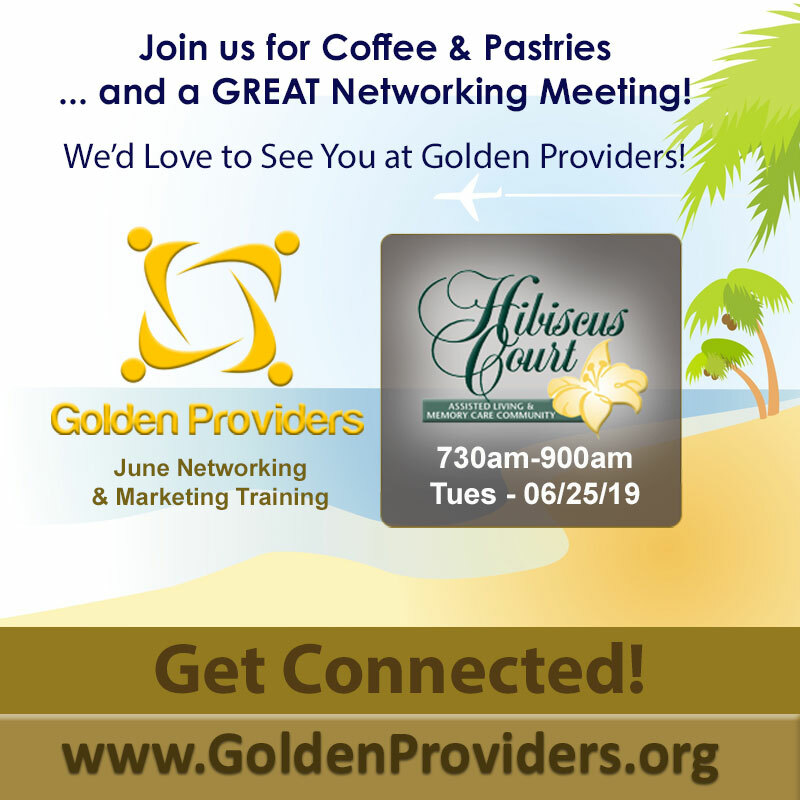 Visit our Facebook Events Page for more Golden Providers & Related Events! We look forward to seeing you are our next monthly meeting – it is an excellent meeting/networking opportunity for those who serve our area’s Senior population. Our speakers provide excellent information to educate your business on best practices for serving the Seniors, who account for nearly 1 in 4 persons in our area, marketplace. You are welcome to visit, up to 2 meetings, at no charge, to decide if Golden Providers is a good opportunity for you – we just ask that you send us an R.S.V.P., via our Contact Us page, so that we know to save you a place! Membership is a worthwhile business investment – at just $150/year – and you can find out more information about become “Golden” at our Be A Golden Provider page. We look forward to greeting you! With the Helping Seniors Car Raffle Grand Drawing one week away from today, so far, 47% say Miata; 29% for Challenger; and 24% on Truck. Have you taken the fun 3-question survey to tell us which car you'll choose when you win? Vote! And get your Helping Seniors Car Raffle tickets at www.HelpingSeniorsCarRaffle.com. ONE WEEK FROM TODAY! It's the Helping Seniors Car Raffle Grand Drawing! Make sure to order your tickets by midnight tonight and they will be mailed to you - speeding your entry to the American Muscle Car Museum for the event! $25 for 1 ticket or 5 tickets for $100 donation. Each ticket is "Admit One" for the Helping Seniors Car Raffle! www.HelpingSeniorsCarRaffle.com. Today is a great day to get your ticket to join us for the April 27th Helping Seniors Car Raffle Grand Drawing! Here, Helping Seniors President Joe Steckler (center) and American Muscle Car Museum owner Mark Pieloch (right) meet with the event team to plan for the great evening at Mark's amazing car museum. See you there! Tickets: www.HelpingSeniorsCarRaffle.com.